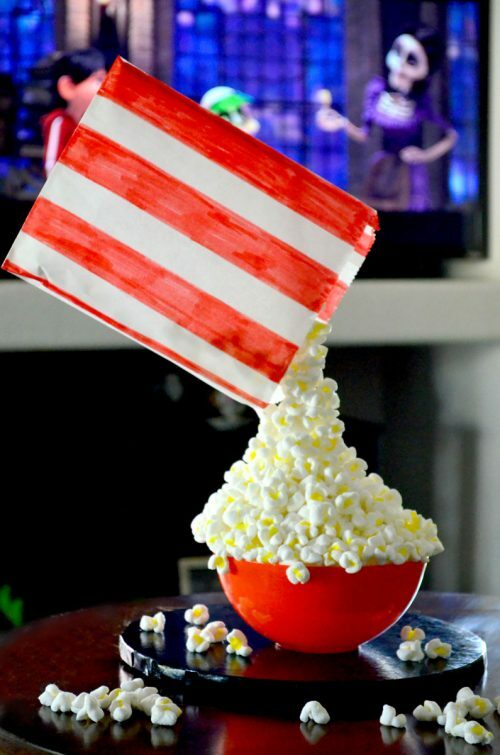 Pick a movie and chill with this popcorn..wait a minute?! It's Cake! In this hands-on class, Chef Mitchie is going to teach us how to fool our fam and friends with a gravity defying cake structure. 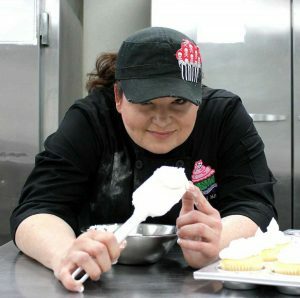 We'll learn several techniques in this class: intro to internal structure, hand painting, hand molding/shaping cake, and how to make food into another food <---what?! We'll complete our project by custom decorating a popcorn bag. 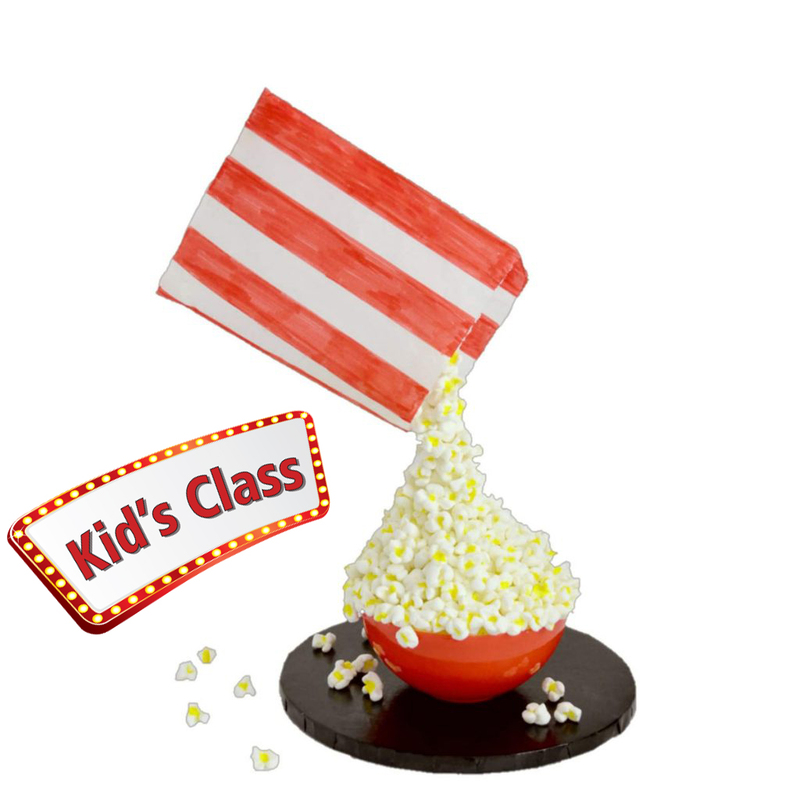 This class is loads of fun and though designed for kids ages 8 and up, adults are welcome to sign up too. See you there! Most supplies provided by instructor. Students should bring: an apron, 8" X 8" X 4" inch box to take completed project, notebook, pen/pencil, and a BIG smile. A light snack will be provided - because this class is going to make us super hungry! An apron, 8" X 8" X 4" inch box to take completed project, notebook, pen/pencil, and a BIG smile. A light snack will be provided - because this class is going to make us super hungry!